I have not read anything by Zadie Smith. Not White Teeth, not On Beauty, not even Swing Time. 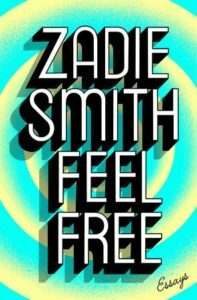 Those are all on my wish list, but I have such a backlog of great books on my wish list that I may not get around to Zadie Smith for quite a while. But when I noticed that her most recent book, an essay collection titled Feel Free (released on 29 Jan. 2018), includes an essay on Justin Bieber … well, that couldn’t wait. I’m not a Belieber – at least, I don’t think I am – but I have taught a class on Bieber in years past as part of a unit on celebrity culture in my Music in North America course. 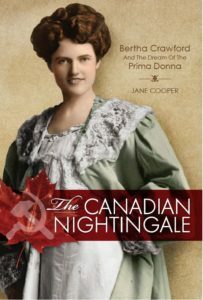 So, curious to see what the British celebrity author had to say about the Canadian celebrity musician, I put a hold on Feel Free via the Toronto Public Library online catalogue. However I was number 36 on the waitlist and I couldn’t wait for my number to come up – it might be weeks from now, by which time this would all be such old news. I had to read the essay on Justin Bieber now. So I parted with $18.07 and bought the eBook. Was it worth it? Was that one essay worth $18.07? On the whole I would say that yes, the essay – titled “Meet Justin Bieber!” – was worth the price of admission to the book. To start with, it is a new essay that has not been published elsewhere, unlike most of the other essays in the book. So this is not recycled Zadie Smith, it is original material. More to the point, it is an entertaining yet also thought provoking article. It dates from around 2013 (Smith is a bit vague on that point) which makes it ancient history as far as Bieber’s life story is concerned, but there are timeless elements to it that render its date of origin a moot point. I think the essay was likely written sometime after January 2014, when Bieber was charged with DUI in Florida, a fact that is alluded to obliquely in the essay. A very brief postscript was added more recently, perhaps in 2016. Smith begins by ruminating on what it must be like to be Justin Bieber: “What does it feel like? Does it still feel like being a person? If you met Justin Bieber, would he be able to tell you?” Side note: I have not met Justin Bieber, but one of the students in my class a couple of years ago went to high school with Bieber in Stratford, and did not have nice things to say about him. But high school was a long time ago in Bieber years. I’m sure that Bieber is a very different person nowadays. Maybe, as Smith intimates, he no longer even feels like he is a person. To anticipate the philosophical thrust of Smith’s essay, it is possible that Bieber has transcended the Heideggerian Dasein to become a hyperreal Baudrilliardian simulacrum, leaving behind the mundane day-to-day reality that the rest of us inhabit. Or maybe he is just bummed out by being stalked by freaks on the sidewalk and is hiding out in his basement. In an attempt to answer her provocative questions, Smith engages in a little thought experiment: she imagines a meeting between Justin Bieber and Martin Buber. It is an exercise in the “random input” technique of lateral thinking that Edward de Bono developed in 1968: you are stuck for an idea, so you pick two words that have nothing in common, try to figure out how to relate them to one another, and watch the creative sparks fly. But this is not quite a textbook example of that process, as the names were not chosen entirely at random: Smith observes in a footnote that Bieber and Buber are alternative spellings of the same German name. 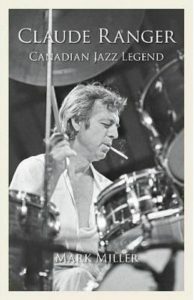 [That name, incidentally, means “beaver,” a singularly appropriate moniker for a Canadian celebrity musician.] This similarity of names has not gone unnoticed on Twitter, where an account that goes by the handle of “Justin Buber” offers tweets that combine “the pop stylings of Justin Bieber with the existential wisdom of philosopher Martin Buber”; it features an avatar that photoshops Buber’s bushy beard onto Bieber’s boyish face. One point of contact that Smith discovers between Buber and Bieber is relationships: Bieber sings about them, Buber ruminates about them. Bieber’s relationships revolve around adolescent heteronormative mating rituals; Buber’s revolve around God. Smith observes that personal relationships range from the casual contact of a fan meet-and-greet (“I just touched Justin Bieber!”) to a life-changing experience in which one’s deepest essence is altered by another, e.g. holding your newborn child and watching her open her eyes for the first time. Smith riffs for a while on Buber’s I and Thou and the two types of relationship that it explores: I-It and I-Thou. The former Smith likens to the meet-and-greet, in which the celebrity (Bieber) is an object to be approached, touched, and narrated about (on social media, inevitably); as Smith observes, it is “As if he [Bieber] were not a person at all, but a mountain range they had just climbed.” The characteristic communication mode of an I-It relationship is monologic; Smith cites Bieber’s 2012 single “Boyfriend” (700 million views on YouTube to date) by way of example. In this song, Bieber (who was only 18 years old at the time) is not looking for Buber’s ideal “living mutual relation” with the anonymous girlfriend; he is talking at her rather than with her. An I-Thou relationship, on the other hand, is dialogic, and Socrates is the model: the subject is continually in communication with others, “Recognizing the reality of other people – and having them recognize the reality of you.” If only Bieber could be more like Socrates… But this type of deep, meaningful connection is difficult to maintain – rather like Bieber’s on-again, off-again relationship with Selena Gomez, Smith wryly observes. Fans of Bieber will be happy to see that in the brief postscript Smith finds evidence in the album Purpose (2015) that the singer is moving from the superficial I-It mode to the deeper and more intimate I-Thou. He may yet transcend his Dasein to reach a new level of existence. Ever better, if current reports are to be believed, he might get back together with Selena Gomez. We hope you enjoy our conversation with Métis poet, Gregory Scofield, about his book of poems, Louis: The Heretic Poems, and about the ways the historical figure of Riel has continued to be used in national narratives. This week’s episode features conversations with some of the cast for the upcoming Canadian Opera Company’s production of Louis Riel. We spoke with Russell Braun, Michael Colvin, and James Westman about their earlier encounters with Riel, the rehearsal process so far, and what they are looking forward to with the premiere just one week away! We hope you enjoy listening to this lively conversation! The ICM is a proud co-sponsor of the symposium “Hearing Riel,” forthcoming on 21 April at Innis College Town Hall. Attendance is free, and is already oversold! However, the event will be viewable onscreen in the Innis lobby, and will also be webcast live, so you can listen to the conversation even without a ticket. Correction: Prof. Simonot has since informed me that she misremembered when discussing the McGill production of Louis Riel and wishes to clarify that Mavor Moore was not in attendance then.